Last week, we took a look at how important saying NO is in your homemaking, for your family, and for your life! Today we are going to go through an exercise to help us determine our family priorities so that we can know when to say NO and when to say YES in life! Welcome to the next part of our online book study of Say Goodbye to Survival Mode. It’s not too late to jump in and join the fun! You can read the introduction and see the full schedule of topics for the next 10 weeks. 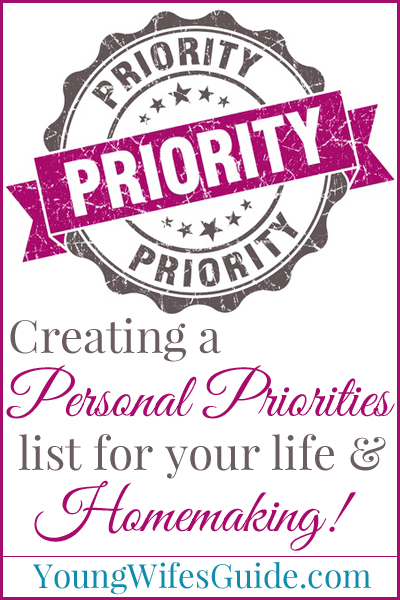 Today we will be talking about crafting your own personal priorities list! “Creating a personal priorities list is vital in enabling us to determine what is truly important and what opportunities we can pass up. After all, if we don’t know what is most important to us, how will we know it when it comes our way?” – Crystal Paine, pg 17. This is the challenge we are tackling today. We are going to walk through creating a personal priorities list for your life. I encourage you to block some time out for this, go somewhere quiet, grab a cup of coffee and really let yourself pray and think about where your priorities in life are. As you sit down in your quiet place (mine is at the kitchen table before my babes wake up), start to think about what are the most important things in your life – marriage, God, your children, working out, working, serving, ect. And remember – your list is NOT going to look like your friends list, or neighbors list, your pastors list, or anyone else’s list. Make sure that you are not trying to craft a list out of what you “think” you should be doing – and rather where your real priorities lie. This can be really hard. If you want more help hammering these out, then get a copy of the book. But I thought it might be helpful if I share my priorities list. Not so you can copy my list, or feel like your list should be just like mine (because it won’t be), but so that it can give you a little inspiration to get working on your own! Always maintain a strong, deep, and vibrant relationship with the Lord through daily Bible study, serving, home group, fellowship, Church, daily prayer, and reading Gospel Centered books. Purposefully and passionately pursue my husband as my best friend and love of my life. Craft a healthy home for my family by encouraging exercise, cooking from scratch, and researching & pursuing a natural lifestyle. Pursue Christ-Centered parenting through disciplining, love, encouragement, and taking time to play with my kids. 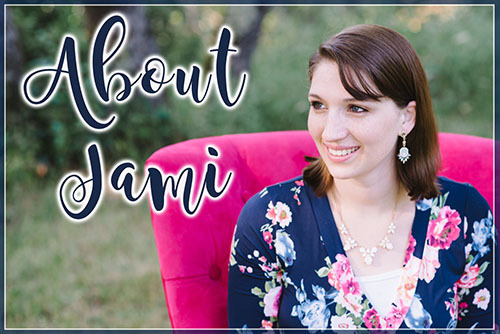 Write and manage my blog so that I can encourage other women in Gospel Centered Homemaking. I’m really glad I went through the exercise of creating my own personal priorities list, because now I have our priorities written out. When a new opportunity is presented to our family, it’s a lot easier now to run it through our priorities list and decided if it’s really right for us or if it would just be taking on one more thing. For example, 6 months ago, my husband and I were asked to teach one of the children’s Sunday school classes. It would be a year commitment of teaching Sunday School every week. It would also mean that we wouldn’t be able to attend the adult Sunday school classes for a year. We prayed about it, looked at it from every angle and ultimately decided that yes, serving as Sunday school teachers is within our personal priorities list. It’s serving in an area that was greatly needed, it’s serving that my husband and I can do together, it’s an area of serving that I can actually do since my 18 month old twins are in the nursery, and my husband and I get to spend time throughout the week doing the lessons. It lined up with several of our priorities and we felt confident saying YES to this opportunity. For another example, now that it’s summer, many of the moms of my church go to the park each week to chat, hang out, and let our kids run around and play. At the beginning of summer, my immediate thought was YES, I want to go every week, what a wonderful fellowship time! So off I went to my first week of park day. It was a distaster. I left feeling discouraged, exhausted, and like I wasted half my day. You see, taking 17 month old VERY active twin boys to the park, by yourself, close to naptime, is not easy. As soon as a we got to the play ground area and I let my boys out of the stroller, they ran in opposite directions. I chased them down the entire time and ended up leaving early, hot, exhausted, tired, and feeling down. I also wasn’t able to accomplish hardly anything at home that day. Why couldn’t I just enjoy some time at the park like my other friends? Shouldn’t I make every opportunity to get to know more people from out church? And as I thought about it, I realized – doing these park days didn’t really hit any of the items on my priority list. I went for fellowship, and yet, I spent all of my time chasing down my kids. I wasn’t playing with my boys because the park was just too big and there were too many people. It was causing us all stress and I finally realized that I didn’t have to do the park days. And just like that – I let it go. Whew! What a feeling of relief. Instead, I take my kids out in our own backyard where I can sit in the baby pool and play with them. We play around the house and outside. I get to focus on loving them and playing with them without distractions and I invite friends and new women I meet over to my house for play dates and fellowship. I felt released knowing that my days don’t have to look exactly like my friends days. Learning how to prioritize the things in my life helps me to know when I should say YES and when it’s okay to say NO. It’s so freeing! My kids are still too young for most activities, sports, ect. I wanted to share my own priorities list just to give you a little inspiration to start thinking. Everyone’s list is going to look just a little different (or maybe very different) depending on what stage of life you are in, if you work outside the house, if you work at home, if you have kids, if you are married, what’s important to you, ect! Join us tomorrow as we break down these priorities even further into bite sized pieces and create our daily routines! Setting Goals in your Home so you can Stay on Task & Focused! Thank you for this post! I’m so busy with wedding planning right now that it’s refreshing to think about life after the wedding and what my priorities need to look like then. I especially love the first two on your list. After that mine will look a lot different, (like you said it might). and always remain thankful. I also need to remember to stay active in the church even when life gets tiring. one-and-only and a true gift from God. testimony of His grace while I am there. It’s an awesome responsibility. our health and keeping up with some level of fitness. 5. Music – Playing the bass and piano, and singing. I need to practice at lease one of these every day.These are also helpful in church! This list may change some once we’re actually married, and I can sort life out a little bit more. Thanks for bringing up the importance of priorities. It’s something we continually need to evaluate! I love your list Melody! Thank you for sharing it!! 😀 When is your wedding? Congrats! I love how you really fleshed out each priority 🙂 Way to go! Just found your blog and I absolutely love it. 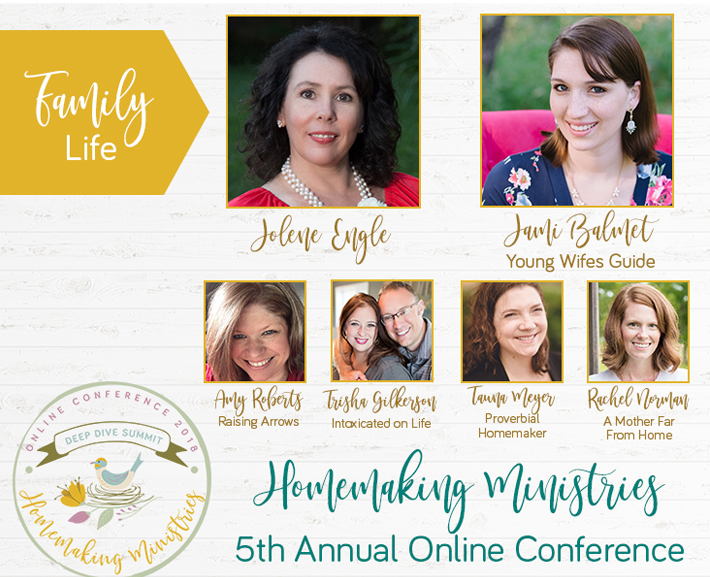 I am a young wife passionate about gospel-centered homemaking as well. I look forward to following along, and I hope to submit guest post here at some point. Thanks for reading Katie!! Please do – your blog is adorable! 🙂 I love the polka dots! Thank you! And thanks for the re-pins on Pinterest! I seriously appreciate it! You are so right! Prioritizing its the most important rule when you have to deal with so much things in a small amount of time! I loved your site! So so much information! It has everything a person needs to know! Congratulations for that! Hi Jami! I am so greatful that I stumbled onto your blog. We have so much in common =] I too have twin boys (they are 4 now) and yes very active like yours. So I completely understand your hardships and daily struggles. I have recently been looking into a more Christ-centered life and how it spills over into everything. Also applying a minimalist lifestyle works along those lines as well. I try to focus on needed things and what I truly love, then get rid of the rest! I am very naturally health oriented and want to start a blog as soon as life calms down (we’ve recently moved and are renevating). Thanks for the inspiration friend! I’ve discovered your podcast and blog for the first time tonight. The stuff I’ve listened to and read so far has been really thought provoking and practical! Just had a long chat with my hubby about our priorities. Thanks for your ministry! Will be staying tuned!